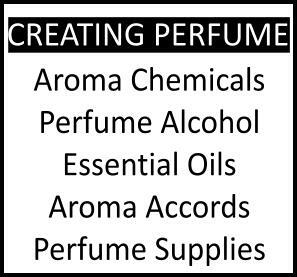 The realm of soapy fragrances is huge, probably because "cleanliness is next to godliness" in several cultures. Therefore buying at least one fragrance that would prolong that feeling of freshness and would broadcast one's good intentions and respectability all around is probably necessary in an inclusive and nuanced fragrance wardrobe. Within this vast field there is a spectrum: some soapy nuances come from fatty aldehydes, accounting for classic aldehydic florals like Chanel no.5 and Arpege, some come with powdery accents like Caleche, while some with their own dry but at the same time soothing, innocent elements. 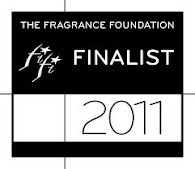 Cerruti 1881 belongs to this latter category with "flour de lin" its signature core note, as per perfumer Claire Cain. The note of chamomile is the dominant one, however, throughout Cerruti 1881 For Women, a soothing note of German chamomile tisane, almost soporific, though the dryness of the composition retains it from becoming too juvenile and keeps it in the adult world. Herbal without being green or aromatic, it projects like an imaginary linen flower, tactile and smooth. A section of iris projects starchy and ironed, like a shirt that has been pressed, while the accompanying, powerful note of mimosa is that touch of innocence that prolongs the feeling of the chamomile. Mimosa has light heliotrope-like and honeyed-sugared aspects, and it naturally includes farnesol which acts as an insect pheromone within the blossom, but as a fixative and floralizer in perfumery. It almost gives a linden tree impression, which further reinforces the soothing properties of chamomile. In short, it's hard to be seen as dangerous in something like Cerruti 1881, but its dry elegance makes it a suitable fragrance for innocuous occasions and office wear. Its light, starched florals quality makes for an easy like from most people.